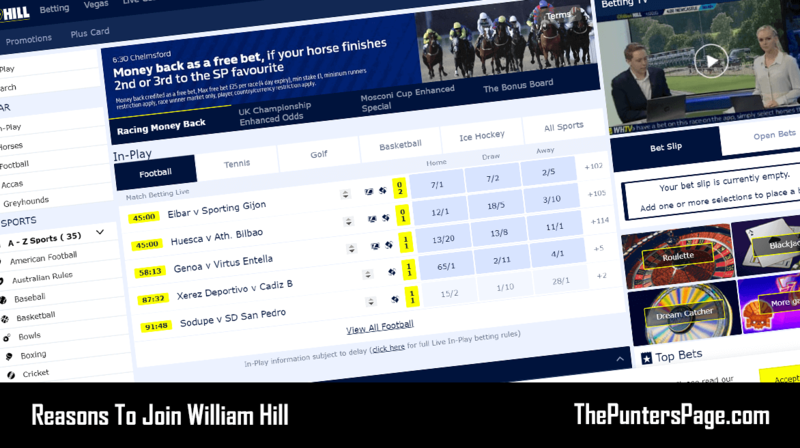 In this article we explain all you need to know about the William Hill Golden Goal promotion including a step-by-step guide on how to claim the offer as well as the key terms you should know about. 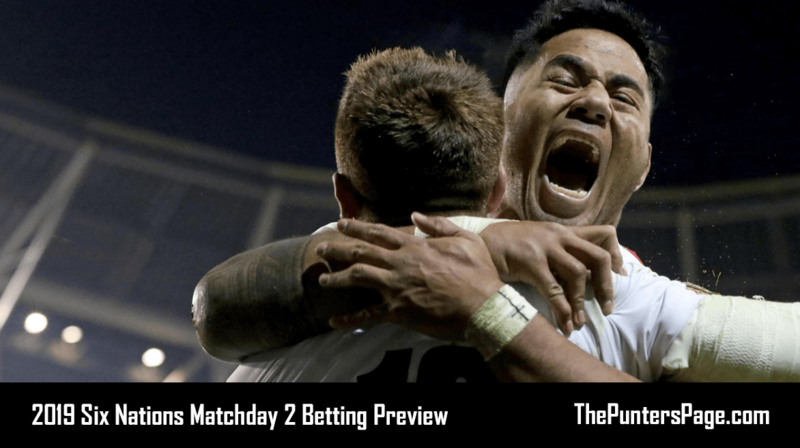 Ever wanted to be paid out as soon as the team you have bet on go a goal in front? Well now you can thanks to Golden Goal from William Hill. What Is William Hill Golden Goal? Golden Goal works so that if the team you have bet on score first in a match then William Hill will pay you out as a winner up-to £50, as cash, even if they go on to draw or lose the match in 90 minutes. 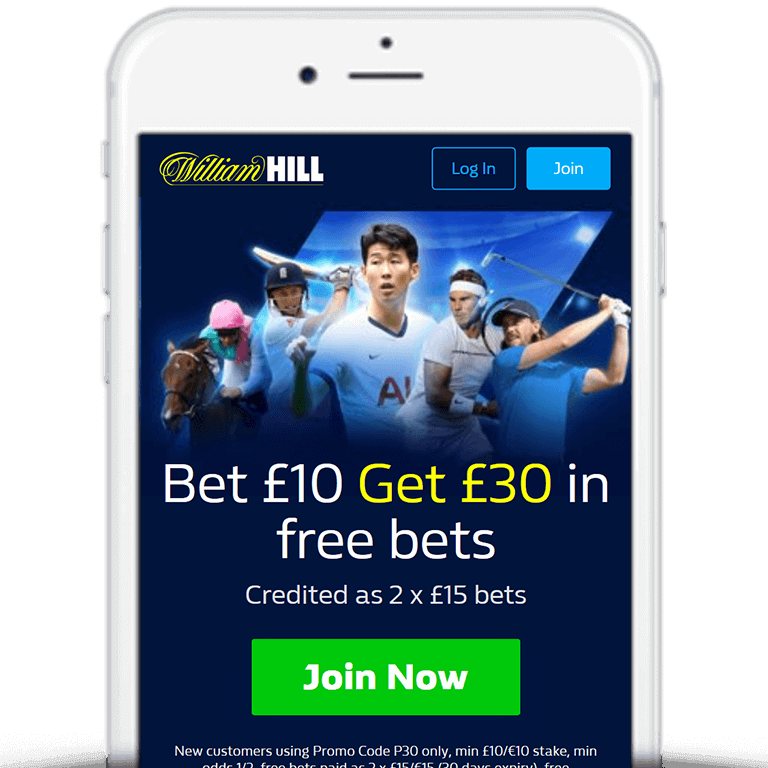 New customers can also take advantage of the latest William Hill sign up offer where you are entitled to £30 in free bets when using William Hill bonus code ‘C30’. Simply join, place a £10 wager at odds of 1/2 or greater and you’ll instantly be credited with £30 in free bets. Place your first single bet on the ‘90 minutes’ market of the selected Golden Goal match. If the team you backed scores first but then fails to win the match in 90 minutes, then William Hill will pay you out as a winner in cash up-to £50. Only your first qualifying bet on the Golden Goal match will count towards the offer. Golden Goal winnings paid in cash up-to a maximum of £50. Golden Goal winnings credited by midday the following day. 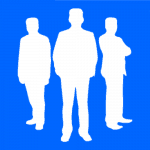 Bets placed using Free Bets count towards the offer but Free Bet stakes are not included in any returns. Golden Goal is a great way of adding some insurance to your 90 minutes bets. So if the team you’ve backed to win score first but go on to draw or even lose the match, then William Hill will pay you out as a winner, in cash, up-to £50.